Image: Paul Bruinooge/Patrick McMullan via Getty Images. Before he was an Oscar-winning actor with myriad dramatic roles under his belt, Matthew McConaughey was the go-to guy for early-aughts romantic comedies. He starred opposite Kate Hudson (twice), Jennifer Lopez, Sarah Jessica Parker and Jennifer Garner in films that made him a recognizable and respected romantic lead. On Thursday’s Watch What Happens Live With Andy Cohen, McConaughey ranked some of his romantic comedies from best to worst, and the results may surprise you. 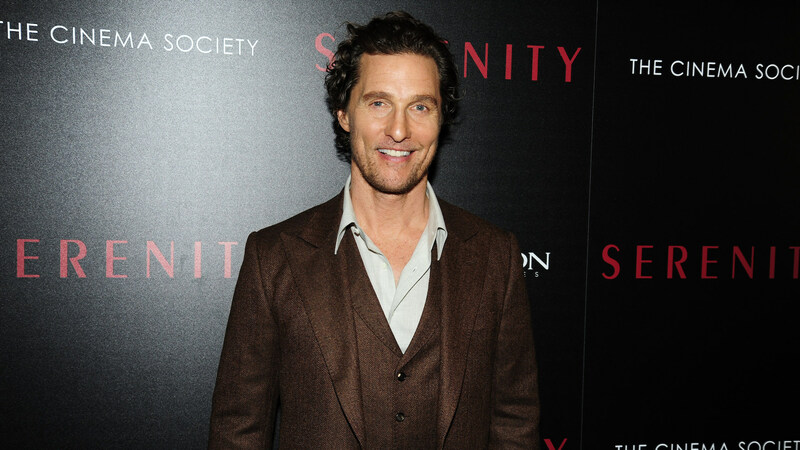 During an appearance with Anne Hathaway in support of their new movie Serenity, McConaughey played a round of Cohen’s game “Plead the Fifth,” in which celebrity guests are asked questions and can either answer truthfully or choose to pass. For Cohen’s second question, he asked McConaughey to rate The Wedding Planner, How to Lose a Guy in 10 Days and Failure to Launch. That being said, he ranked How to Lose a Guy as his best out of the three romantic comedies presented, with The Wedding Planner second and Failure to Launch third. McConaughey wasn’t in that particular romantic tragedy, but Serenity is an intriguing film with plenty of romance and tragedy, too. At the New York premiere on Wednesday, he admitted that he was so excited to work with his first celebrity crush, Diane Lane, that he confessed his dormant feelings on their first day on set.